Mesa, AZ – In response to the frivolous lawsuit, Civil Action No. 9:18cv-81295 (S.D. FL), brought by Century International Arms, Inc.
XTech Tactical® will not relent its inherent and obvious rights to sell what is known to the market as the MAG47™. The complaint filed against XTech Tactical® contains a baseless claim of trade dress which is clearly an attempt to intimidate a much smaller and younger business. XTech Tactical® was founded on and operates with the highest level of integrity and is extremely confident in its position. Furthermore, it is important to the company to set the precedent that it will not lay down to baseless threats, regardless of another entity’s size. XTech Tactical® has been preparing for the likelihood of a lawsuit since January of 2018 when Century Arms first sent a demand letter to Molded Devices, Inc., the manufacturer of the MAG47™. Before XTech Tactical® begins the development or redevelopment of any product, it exhaustively studies the existence of preexisting intellectual property. During the research related to the MAG47™ project, it was discovered that no one controlling the US Palm brand owned any patents, proprietary designs, or other valid intellectual property related to US Palm’s AK47 rifle magazines. The XTech Tactical® MAG47™ currently available in two configurations on www.xtechtactical.com is quickly being established as the single greatest US Made AK47 magazine in history. MSRP on the magazines range from $26.95-29.95. The company obsessively studied consumer feedback and requests related to the ideal AK47 magazine. From that study and substantial engineering effort came what is now, the MAG47™. XTech Tactical® strives and will always strive to be the leading company in the industry when it comes to hearing its customers’ and potential customers’ voices. XTech Tactical® is co-title sponsoring Red Oktober in Utah October 6-7th and will also be exhibiting for the first time at SHOT Show booth 4164. In 2013, XTech Tactical was formed by firearms enthusiasts to develop revolutionary firearms accessories for modern rifles and other small arms. The founding members bring over 50 years of combined product development, design-for-manufacturing, and quality control experience. Collectively they are listed on over 35 US and International Patents, and have been part of taking hundreds of products from concept through production. We believe in making the best products possible for our customers whether civilian, agency or military. The company strives to lead the industry in innovation, customer service, and hearing our customers’ voices. We offer a 10% discount for all active duty US soldiers, veterans, and law enforcement that register on our website. We also have corporately partnered with Trident True (tridenttrue.org) to give back to some of our country’s heroes, our combat veterans. We will be offering special edition products to benefit the cause, while also assisting Trident True through financial support, exposure, and offering individual veterans unique experiences. Please take a moment and check out their website for more information. Trident True will also be at the XTech Tactical® booth at Red Oktober along with some great American heroes! Mesa, AZ- XTech Tactical, LLC an innovative firearms accessory manufacturer brings the MAG47© to market. In April of 2017 a prior manufacturer closed its doors which led to the opportunity that came available in August of 2017 for the magazine redevelopment to begin. spectrum of AK style weapons. Additional announcements from the company to follow including the release of their new XMAG®, an easy loading 30rd AR magazine. XTech Tactical Releases MTX Magazine Extension for M&P Full Size Pistols & Now Offers Bulk Packs for VP9 magazines. Mesa, AZ- XTech Tactical, LLC an innovative firearms accessory manufacturer expands line of its patent pending MTX magazine extensions. First seen for the VP/P30 full size H&K pistols, the MTX compatible with the M&P, M&P 2.0 full size, and Caracal Enhanced F pistols is now shipping! These are anything but industry standard magazine extensions. The MTX for the M&P uses the patent pending design that is robust, durable, offers flawless feeding, while requiring no tools for installation. The magazine extension uses military grade reinforced polymers, and the inner housing offers the patent pending “Leading Edge” eliminating any catch point during the transfer from the extender into the magazine tube. The kit includes both the extender parts and a custom engineered stainless-steel spring. All components are 100% Made in the US. MSRP for the MTX M&P Magazine Extension is $29.95 with two packs available for $49.95. The kit adds 5 rounds for 9mm and 4 rounds for .40 S&W. XTech Tactical, LLC also has released 5 pack (15rd, $165/20rd $237.25) and 10 pack (15rd, $300/20rd $449.50) for their US Made, Stainless Steel, Teflon coated completed VP9/P30 9mm full size magazines. 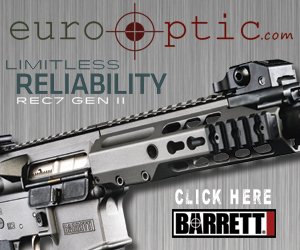 They can be purchased at www.xtechtactical.com, and they offer great dealer programs.